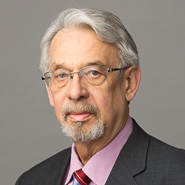 Marshall, Gerstein & Borun LLP is pleased to announce that partner Don Rupert was selected for inclusion in the inaugural issue of Super Lawyers, Corporate Counsel Edition, to be published in January 2010. This issue will list attorneys from across the United States who have been recognized in previous 2009 state and regional editions of Super Lawyers in the area of corporate litigation, including Intellectual Property Litigation. Fewer than 5 percent of all attorneys are chosen for this honor each year.